Atraumatic protection | Always there with a comforting touch. Atrauman is part of the Atrauman Family - HARTMANN's range of wound contact layers. Atrauman® has been helping to improve patients' lives since 1998, providing atraumatic protection both clinicians and patients love and trust. That's why Atrauman® is listed on the majority of formularies1 and is the most widely used wound contact layer in the UK2. Always there with a comforting touch -Atraumanis the most-loved, non-adherent primary wound contact layer in the UK2. 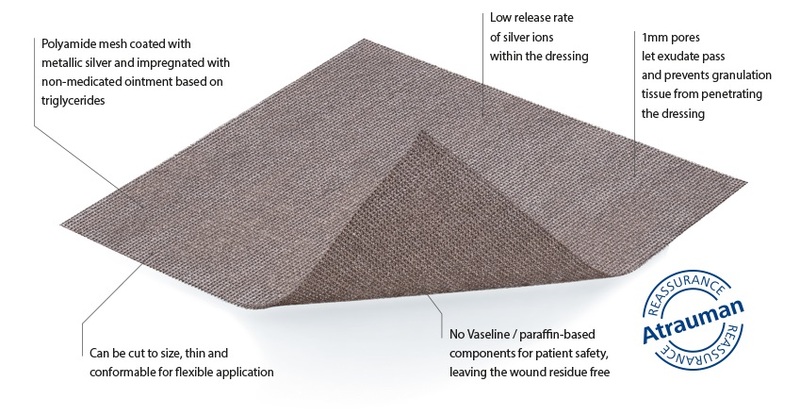 Reliable antimicrobial action with a reassuring touch -Atrauman Agis an ideal treatment for patients with infected wounds4. When only the most gentle of touches will do -AtraumanSiliconedoesn’t adhere to the skin or cause pain or trauma when removed6. *DT January 2018. Atrauman Silicone 7.5 x 10 cm, £2.25 per dressing. Mepitel 8 x 10 cm, £2.80. Mepitel One 9 x 10 cm, £2.41 per dressing. References. 1. Data on file. 2. IMS Data non-silicone, non-antimicrobial wound contact layers, December 2015. 3. Stephen-Haynes, J. (2009). 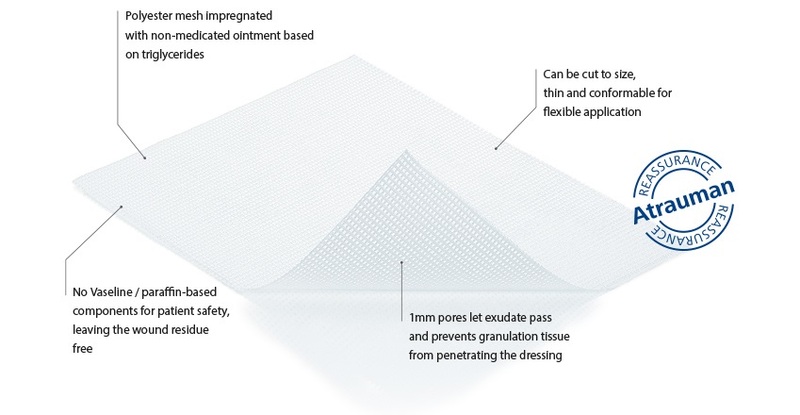 The use of Atrauman non-adherent wound dressing in tissue viability. Journal of community nursing. 14, 29–30, 32–34. 4. Ziegler, K. et al (2006). Reduced Cellular Toxicity of a New Silver Containing Antimicrobial Dressing and Clinical Performance in Non-Healing Wounds. Skin Pharmacol Physiol 19:140–146. 5. Brown, A. (2010). Silver dressings use in chronic wounds: Let clinical judgment be the guide. British Journal of Community Nursing. 15, 12, 30–37. 6. Meuleneire, F., Rücknagel, H. (2013). Soft silicone dressings made easy. Wounds International May 2013.